There is a common misconception that family SUVs can’t be good looking. 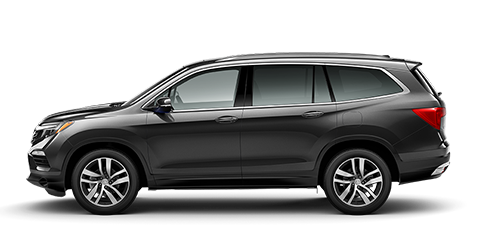 Drivers who are familiar with the Honda Pilot and the Toyota Sequoia may be inclined to believe this. However, one look at the 2019 Nissan Armada proves that large family SUVs can be attractively styled. The new Nissan Armada manages to be elegant and sporty, which is more than can be said of the Honda Pilot and the Toyota Sequoia. The Nissan Armada also offers features that these competing SUVs don’t. For example, the Nissan Armada offers optional power liftgate technology on its most affordable trim, which the Toyota Sequoia and the Honda Pilot don’t. The Nissan Armada also offers standard running boards which make it easy for everyone, even small children, to get into the vehicle. The 2019 Armada even offers a standard trailer hitch that makes towing a breeze. If you’ve been looking for a stylish large SUV at an Oklahoma City car dealership, look no further than Bob Moore Nissan. Come in and test-drive the 2019 Nissan Armada today. The 2019 Nissan Armada redefines performance for the family SUV segment. Many drivers don’t expect an impressive performance from a large SUV, but again the Nissan Armada exceeds expectations. 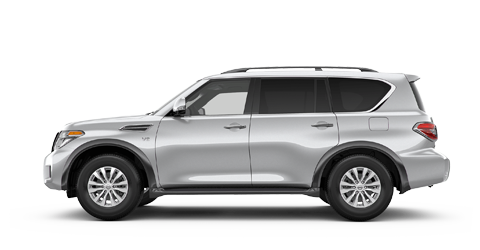 With the 2019 Armada, drivers can have fun while hauling the kids around. The Nissan Armada is powered by a 5.6L V8 kicking out a towering 390 horsepower, which is more than the engines in the Honda Pilot and Toyota Sequoia produce. This engine is paired with a quick-shifting 7-speed automatic transmission. The standard rear-wheel drive system provides sporty handling dynamics, while the optional all-wheel-drive system enables enhanced traction in difficult driving conditions. Take the Nissan Armada out for a spin at the Bob Moore Nissan dealership today. Drivers looking for a safe family SUV can stop by the Bob Moore Nissan dealership in the Oklahoma City area. Take your test drive of the Nissan Armada today. You’d expect a large SUV like the 2019 Nissan Armada to have a spacious interior, and it certainly doesn’t disappoint. What Oklahoma drivers may not expect, however, is how well-equipped the Nissan Armada is. Even though the 2019 Armada is more affordable than competitors like the Toyota Sequoia, it even offers a touch of luxury to make the driving experience that much more special. The Nissan Armada includes a standard leather-wrapped steering wheel, which is not the case in the Toyota Sequoia or the Honda Pilot. The Nissan Armada also offers an optional electrochromic rearview mirror, which increases visibility during night-time driving conditions. The Nissan Armada can accommodate 8 adult occupants in its standard seating configuration and offers more space than competitors like the Honda Pilot. At the Bob Moore Nissan dealer, Oklahoma City drivers can experience the well-equipped and stylish 2019 Armada. Schedule your test drive through our website today. The technology in the 2019 Nissan Armada separates it from competing family SUVs like the Honda Pilot and the Toyota Sequoia. Neither of these vehicles can match the standard tech features of the Nissan Armada. In fact, the Honda Pilot and the Toyota Sequoia don’t even offer some of the standard tech features in the Nissan Armada as options. The 2019 Nissan Armada is the only one of these 3 SUVs to include standard GPS navigation. It’s also the only one to include a standard Bose® audio system. Finally, neither the Honda Pilot nor the Toyota Sequoia can match the Nissan Armada’s standard smartphone integration feature: NissanConnect® powered by SiriusXM®. Drivers in the Oklahoma City area can check out the ergonomic technology in the 2019 Armada by taking a test drive at Bob Moore Nissan today.